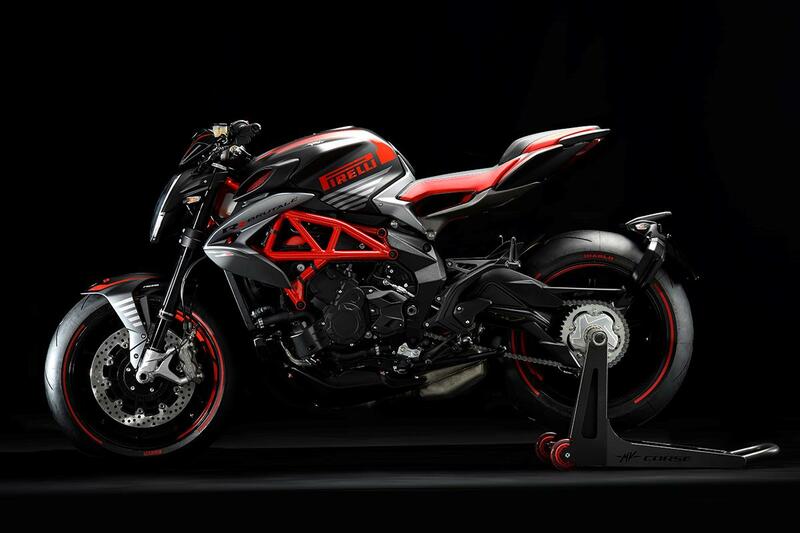 MV Agusta have reached a new partnership with Italian tyre manufacturer Pirelli as their sole tyre supplier for all their motorcycles. 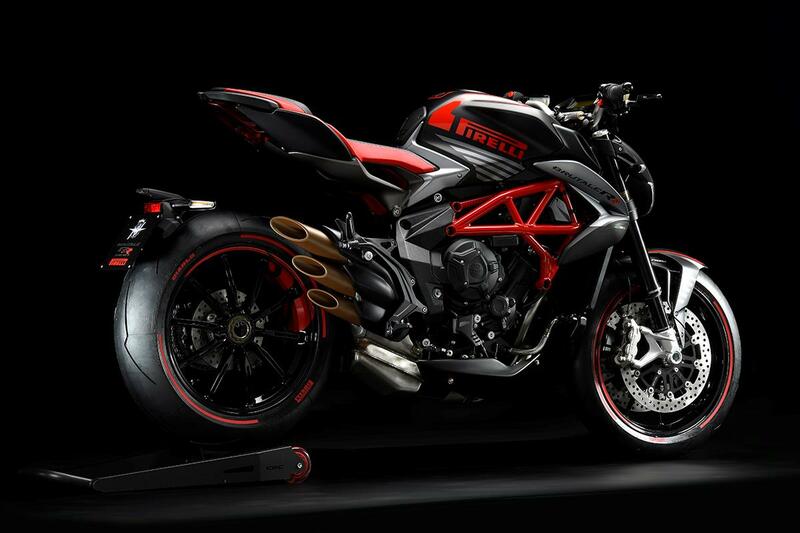 To celebrate this, MV have released the limited edition Brutale 800 RR Pirelli. 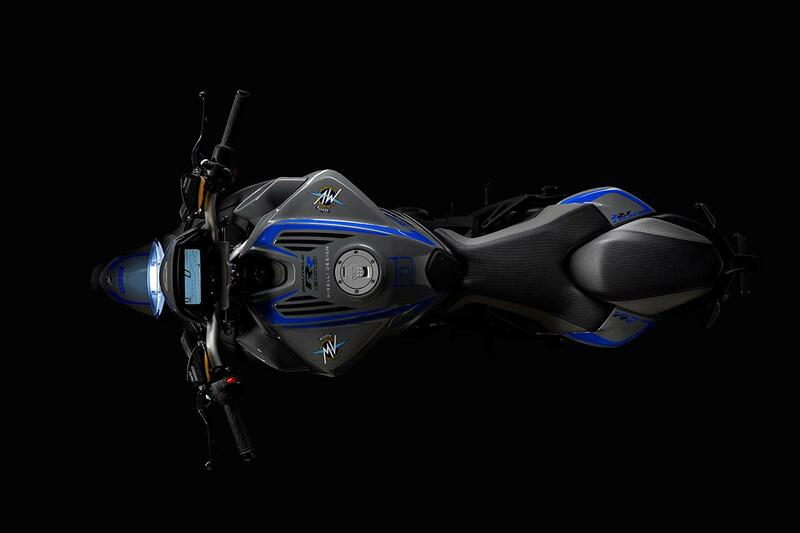 The changes over the standard model focus mainly on components and colour schemes, with the two new colours being matt black and gloss red, and grey and blue. 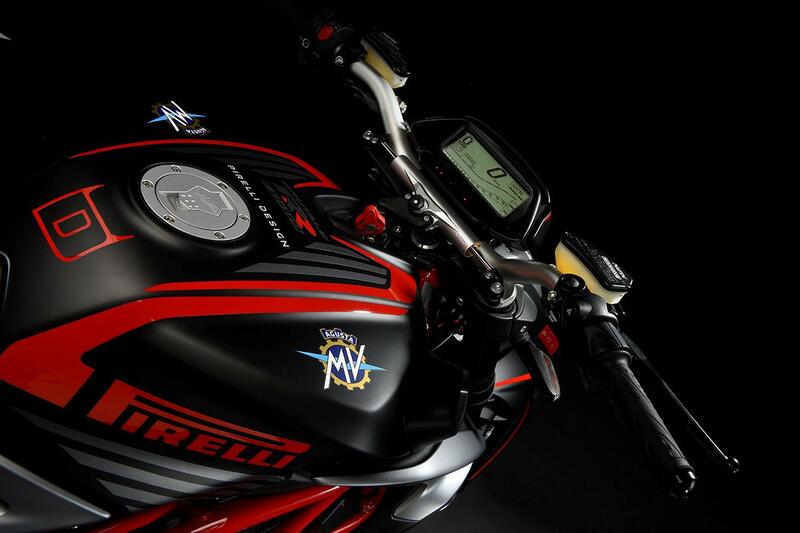 You can even choose to have your bike supplied with special tyres, which have coloured sidewalls to match the colour of the bike. 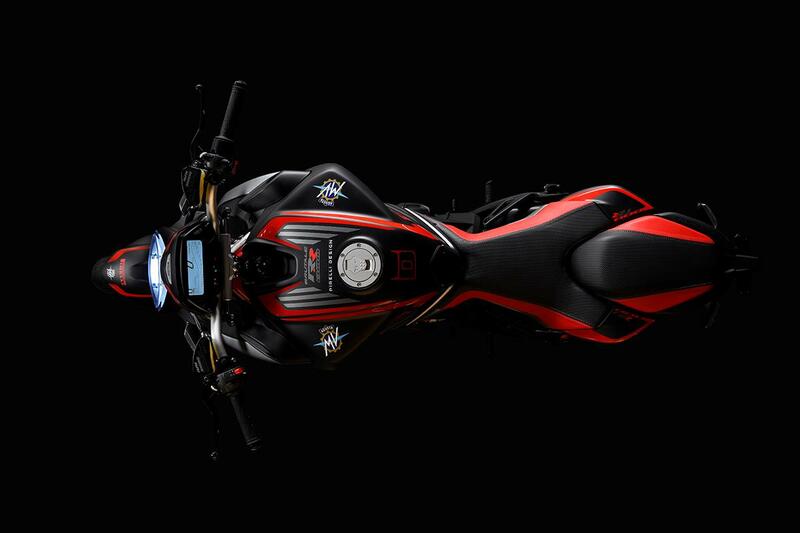 Gallery: ‘R’ motorcycle SP-ecials really that special? 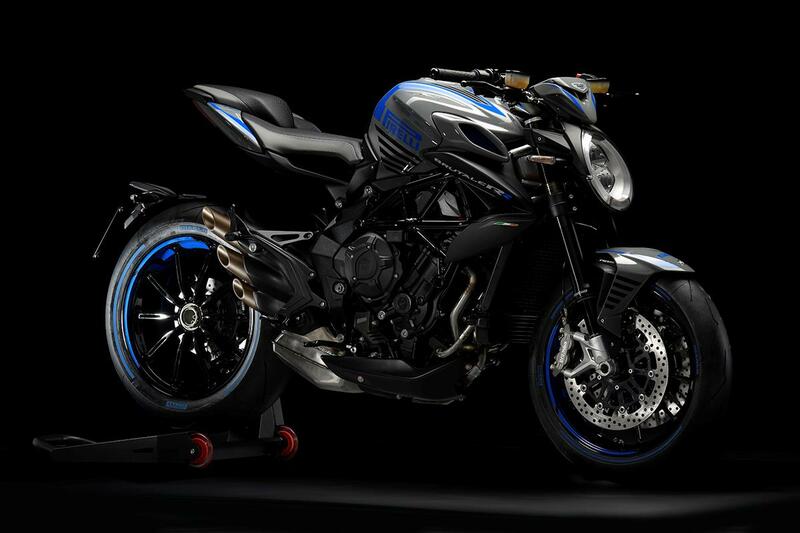 The seats have been designed especially for the new model, with coloured stitching, and both the headlight bracket and rear subframe have been painted black. 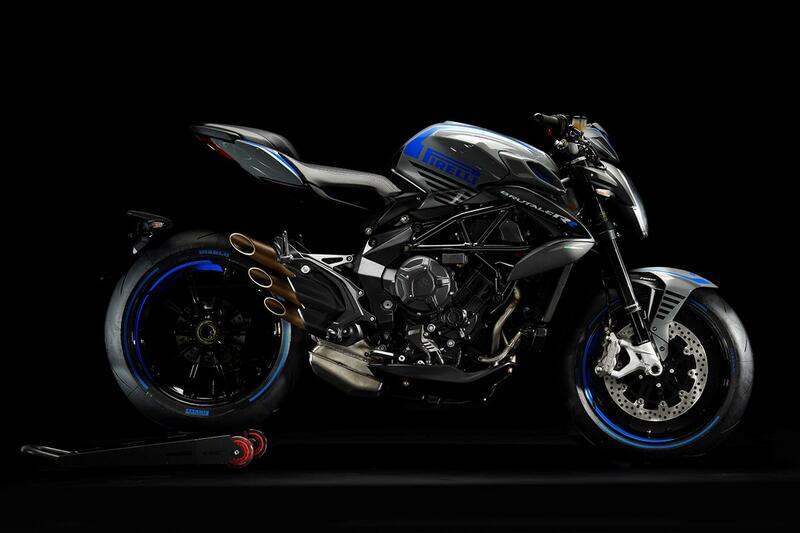 The wheels are new - to reduce weight - and MV have also added a few parts from their F4 superbike. 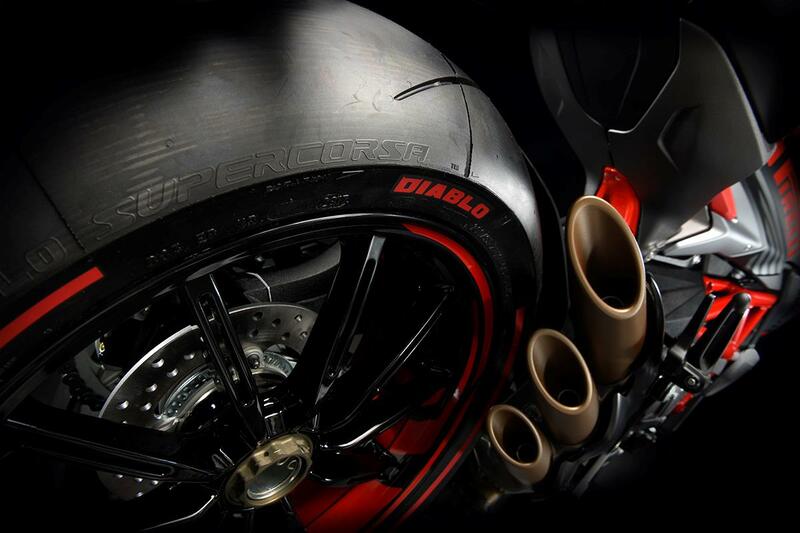 The size of the rear tyre has increased to 200/55 ZR17 from 180/55 ZR17 especially for this model. 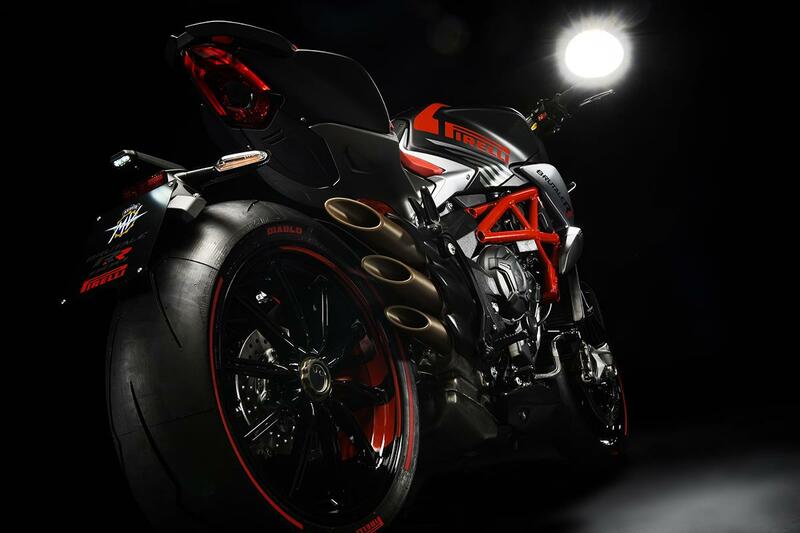 The Brutale 800 RR Pirelli will be on display at the Milan Show from November 9-12.